Not to be confused with Jetblue or BlueAir. Airblue Limited (styled as airblue) is a private Pakistani low-cost airline with its head office on the 12th floor of the Islamabad Stock Exchange (ISE) Towers in Islamabad, Pakistan. Airblue operates scheduled domestic and international flights to Oman, Saudi Arabia and the United Arab Emirates. The private sector is the part of the economy, sometimes referred to as the citizen sector, which is run by private individuals or groups, usually as a means of enterprise for profit, and is not controlled by the State. The Islamabad Stock Exchange Towers are one of the highrises located at 55, Jinnah Avenue of the Blue Area business district of Islamabad. Oman, officially the Sultanate of Oman, is an Arab country on the southeastern coast of the Arabian Peninsula in Western Asia. Its official religion is Islam. The airline was established in 2003 and started operations on 18 June 2004 with three leased Airbus A320-200 aircraft serving Karachi–Lahore and Karachi–Islamabad with three daily flights in each direction. The airline was inaugurated in 2004 by Prime Minister Zafarullah Khan Jamali. The Airbus A320 family consists of short- to medium-range, narrow-body, commercial passenger twin-engine jet airliners manufactured by Airbus. The family includes the A318, A319, A320 and A321, as well as the ACJ business jet. The A320s are also named A320ceo following the introduction of the A320neo. Final assembly of the family takes place in Toulouse, France, and Hamburg, Germany. A plant in Tianjin, China, has also been producing aircraft for Chinese airlines since 2009, while a final assembly facility in Mobile, Alabama, United States, delivered its first A321 in April 2016. The aircraft family can accommodate up to 236 passengers and has a range of 3,100 to 12,000 km, depending on model. Mir Zafarullah Khan Jamali is a Pakistani politician who served as the 15th Prime Minister of Pakistan from 2002 until his resignation in 2004. Pakistan International Airlines commonly referred by PIA is the national flag carrier of Pakistan. Its main hub is Karachi's Jinnah International Airport while Allama Iqbal International Airport in Lahore and Islamabad's New Islamabad International Airport serve as secondary hubs. Passenger load factor, or load factor, measures the capacity utilization of public transport services like airlines, passenger railways, and intercity bus services. It is generally used to assess how efficiently a transport provider fills seats and generates fare revenue. Peshawar is the capital of the Pakistani province of Khyber Pakhtunkhwa. Situated in the broad Valley of Peshawar near the eastern end of the historic Khyber Pass, close to the border with Afghanistan, Peshawar's recorded history dates back to at least 539 BCE, making it the oldest city in Pakistan and one of the oldest cities in the world. Peshawar was the capital of the ancient Kushan Empire, and was home to what may have been the tallest building in the ancient world, the Kanishka stupa. Peshawar was then sacked by the White Huns, before the arrival of Muslim empires. The city was an important trading centre during the Mughal era before serving as the winter capital of the Afghan Durrani Empire from 1757 until the city was captured by the Sikhs in 1818, who were then followed by the British in 1849. The Airbus A321 is a member of the Airbus A320 family of short- to medium-range, narrow-body, commercial passenger twin-engine jet airliners manufactured by Airbus. It was the first derivative of the baseline Airbus A320 aircraft. It represents a stretched-fuselage variant of the Airbus A320 and entered service in 1994 with Lufthansa, around six years after the original A320. The aircraft shares a common type rating with all other Airbus A320 family variants, allowing existing A320 family pilots to fly the aircraft without the need for further training. Airblue changed its IATA code from ED to PA in June 2012, the new code originally belonged to the defunct and once iconic carrier Pan American World Airways. In 2011 the airline launched service to Istanbul’s Sabiha Gokcen Airport - a route which was ultimately terminated. Pan American World Airways, originally founded as Pan American Airways and commonly known as Pan Am, was the principal and largest international air carrier and unofficial flag carrier of the United States from 1927 until its collapse on December 4, 1991. It was founded in 1927 as a scheduled air mail and passenger service operating between Key West, Florida and Havana, Cuba. The airline is credited for many innovations that shaped the international airline industry, including the widespread use of jet aircraft, jumbo jets, and computerized reservation systems. It was also a founding member of the International Air Transport Association (IATA), the global airline industry association. In June 2012, Airblue finalised an agreement to acquire one Airbus A320 and two leased A340-300s for existing and new international routes. It was also looking at various types of turboprop aircraft for new domestic routes but this plan was eventually dropped. The A340s joined the fleet in October 2012, enabling the airline to strengthen its Manchester route with nonstop flights as well as launch a second UK destination Birmingham in September 2013, and connect both stations with Lahore. The A340s later also flew to the Middle East. Technical issues related to the aircraft eventually led to them being phased out by January 2014; they had been leased for a five-year term. UK operations also ended with Birmingham being dropped after just three months' service and Manchester ending in January 2014. The Airbus A340 is a long-range, four-engine, wide-body commercial passenger jet airliner that was developed and produced by the European aerospace company Airbus. The A340 was assembled in Toulouse, France. It seats up to 375 passengers in the standard variants and 440 in the stretched -600 series. Depending on the model, it has a range of 6,700 to 9,000 nautical miles. Its distinguishing features are four high-bypass turbofan engines and three leg main landing gear. Birmingham is the second-most populous city in the United Kingdom, after London, and the most populous city in the English Midlands. With an estimated population of 1,137,100 as of 2017, Birmingham is the cultural, social, financial and commercial centre of the Midlands. It is the main centre of the West Midlands conurbation, which is the third most populated urban area in the United Kingdom, with a population in 2011 of 2,440,986. The wider Birmingham metropolitan area is the second largest in the United Kingdom with a population of over 3.7 million. 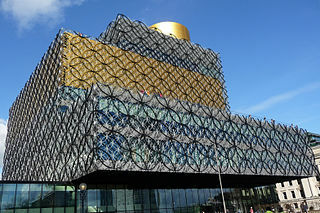 Birmingham is frequently referred to as the United Kingdom's "second city". Airblue serves the following destinations as of August 2018,  the list also includes former routes. All aircraft in the fleet have a 3-by-3 layout in an all economy cabin; and have overhead video screens. Airblue formerly had a business class section, but dropped it due to exogenous economic factors. Airblue was the first airline in Pakistan to introduce e-ticketing, wireless check-in and self check-in kiosk facilities. The airline also uses Sabre, a ticket distribution system. Airblue has launched e-Cargo service to cater to air freight markets of Pakistan, the United Arab Emirates and the United Kingdom. According to a press release, e-Cargo will broaden the base of cargo and permit certified agents to book freight directly online opening the inventory through Web. 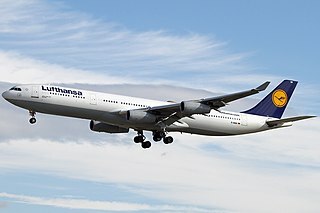 Deutsche Lufthansa AG , commonly known as Lufthansa, is the largest German airline and, when combined with its subsidiaries, also the largest airline in Europe in terms of passengers carried The name of the company is derived from the German word Luft "air" and Hansa, the Hanseatic League. Lufthansa is one of the five founding members of Star Alliance, the world's largest airline alliance, formed in 1997. China Airlines (CAL) is the national carrier of Taiwan and its largest airline. It is headquartered in Taiwan Taoyuan International Airport and operates over 1400 flights weekly to 102 cities across Asia, Europe, North America and Oceania. Carrying over 19 million passengers and 5700 tons of cargo in 2017, the carrier was the 33rd and 10th largest airline in the world in terms of passenger revenue per kilometer (RPK) and freight RPK, respectively. China Airlines has three airline subsidiaries: China Airlines Cargo, a member of Skyteam Cargo, operates a fleet of freighter aircraft and manages its parent airline's cargo-hold capacity; Mandarin Airlines operates flights to domestic and low-demand regional destinations; Tigerair Taiwan is a low-cost carrier established by China Airlines and Singaporean airline group Tigerair Holdings, but is now wholly owned by China Airlines Group. Finnair is the flag carrier and largest airline of Finland, with its headquarters in Vantaa on the grounds of Helsinki Airport, its hub. Finnair and its subsidiaries dominate both domestic and international air travel in Finland. Its major shareholder is the government of Finland, which owns 55.8% of the shares. Finnair is a member of the Oneworld airline alliance. In 2017, it transported about 12 million passengers to over 100 European, 20 Asian and 7 North American destinations. At the end of 2017, the airline employed 5,918 people. Allama Iqbal International Airport is the third largest civil airport by traffic in Pakistan, serving Lahore, the capital of Punjab province as well a large portion of the travellers from the Punjab province. Originally known as Lahore International Airport, it was renamed after Allama Iqbal, one of the pioneers that led to the creation of Pakistan. Benazir Bhutto International Airport is a defunct airport which formerly served the Islamabad-Rawalpindi metropolitan area. It was the second-largest airport by air traffic in Pakistan, until 3 May 2018 when it was replaced by the new Islamabad International Airport. Previously also known as the Islamabad International Airport, it was renamed after the late Pakistani prime minister Benazir Bhutto in June 2008. The airport handled 4,767,860 passengers between 2015–16, compared to 3,803,060 in 2012-13. Addis Ababa Bole International Airport is in the city of Addis Ababa, Ethiopia. It is located in the Bole area, 6 km (3.7 mi) southeast of the city centre and 65 km (40 mi) north of Debre Zeyit. The airport was formerly known as Haile Selassie I International Airport. It is the main hub of Ethiopian Airlines, the national airline that serves destinations in Ethiopia and throughout the African continent, as well as nonstop service to Asia, Europe, North America and South America. The airport is also the base of the Ethiopian Aviation Academy. As of June 2018, nearly 450 flights per day were departing from and arriving at the airport. Bhoja Air was a Pakistani airline based in Karachi, Sindh, Pakistan. FITS Aviation (Pvt) Limited, DBA FitsAir, is a Sri Lankan airline. It operates scheduled passenger service within Sri Lanka, as well as international cargo flights to several cities in the Middle East, Asia, and Africa. 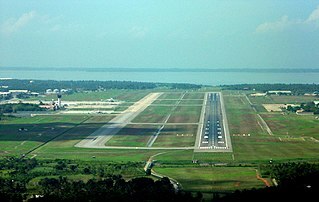 Bandaranaike International Airport, colloquially known as Katunayake Airport and Colombo International Airport, is the main international airport serving Sri Lanka. It is named after former Prime Minister SWRD Bandaranaike and is located in a suburb of Negombo, 20 miles (32.5 km) north of the commercial capital Colombo. It is administered by Airport and Aviation Services Ltd and serves as the hub of SriLankan Airlines, the national carrier of Sri Lanka, and domestic carrier Cinnamon Air. The other airport serving the city of Colombo is the Ratmalana Airport, primarily serving domestic destinations. Faisalabad International Airport is an international airport and standby Pakistan Air Force military base situated on Jhang Road, 10 kilometres (6.2 mi) southwest of the city centre of Faisalabad, in the Punjab province of Pakistan. Multan International Airport is an international airport located 4 km west of Multan, Pakistan. The airport is southern Punjab's largest and busiest airport. Multan International Airport offers flights throughout Pakistan, as well as direct flights to Bahrain, Oman, Qatar, Saudi Arabia, and the United Arab Emirates. Quetta International Airport ;(IATA: UET, ICAO: OPQT) is located at Quetta, the provincial capital of Balochistan, Pakistan. The airport is the fourth highest airport in Pakistan. It is second largest airport in the south region of the country and the largest for the province of Balochistan. It is situated 12 km south-west of the city spread over an area of 35 acres (14 ha). Average scheduled flights were 1332, non-scheduled flights 247, and the total recorded passenger flow was 152,698 in 2007. Gwadar International Airport is an international airport situated 14 km north of the city centre of Gwadar, in the Balochistan province of Pakistan. Pakistan Airways was a short-lived cargo airline based at Jinnah International Airport, Karachi, Sindh, Pakistan. The airline was operational from 2005 to 2006, using a single Ilyushin Il-76 cargo aircraft for flights between Pakistan and Dubai. Islamabad International Airport ; IATA: ISB, ICAO: OPIS) is the main international airport serving the Islamabad-Rawalpindi metropolitan area and suburbs. It is Pakistan's 2nd largest airport, after Karachi, having served 4,777,958 passengers in the year of 2017-2018. It is Pakistan's second greenfield airport, after Sialkot International Airport and is built 20 km outside the twin cities near the Kashmir Highway and Motorway Interchange. Jinnah International Airport is Pakistan's busiest international and domestic airport, and handled 6,697,073 passengers in 2017-2018. Located in Karachi, the largest city of Pakistan and capital of the province of Sindh, it is named after Muhammad Ali Jinnah, the founder of Pakistan. Airblue Flight 202 was a scheduled domestic passenger flight which crashed on 28 July 2010 near Islamabad, the capital of Pakistan, killing all 146 passengers and six crew on board. It is the deadliest air accident to occur in Pakistan to date. The aircraft, an Airblue operated Airbus A321-231 narrow-body jet airliner, crashed in the Margalla Hills north of Islamabad during a flight from Karachi's Jinnah International Airport to Benazir Bhutto International Airport. Air traffic controllers lost contact with the flight crew during its attempt to land in dense fog and heavy monsoon rain. Shaheen Air was a private Pakistani airline with its head office at Jinnah International Airport in Karachi and is owned by the Khalid Shehbai family and originally established by the Shaheen Foundation. Shaheen Air was providing passenger, cargo and charter services, to major cities in Pakistan and the Middle East. It suspended all operations in October 2018. ↑ "Contacting Us Archived 2010-07-29 at the Wayback Machine ." Airblue. Retrieved on 28 July 2010. "Airblue Limited (Corporate Headquarters) 12th Floor, ISE Towers 55-B Jinnah Avenue Islamabad 111-247-258." 1 2 3 Schmitz 2006, p. 57. ↑ Schmitz 2006, p. 58. ↑ "AirBlue Begins Pakistan-UK Flights from June 1". Archived from the original on 2010-01-02. Retrieved 2009-12-30. 1 2 3 4 5 6 7 8 9 10 11 12 13 14 15 "Airblue schedule". Archived from the original on 2013-10-29. Retrieved 2012-11-28. ↑ "Air Blue suspends Birmingham to Pakistan flights". BBC News. 21 November 2013. Archived from the original on 19 February 2015. ↑ "Airblue Cancels Islamabad – Manchester Service from late-January 2014". Routes Online. 20 January 2014. Archived from the original on 19 November 2016. ↑ "Promotional Campaign Launched". Archived from the original on 2010-01-02. Retrieved 2009-12-30. ↑ "Global Airline Guide 2017 (Part Two)". Airliner World (November 2017): 28. ↑ "Crash: AirBlue A321 near Islamabad on Jul 28th 2010, impacted mountaineous [sic] terrain near the airport". The Aviation Herald. Retrieved 28 December 2011. Schmitz, Sebastian. "airblue: A New High Flyer from Pakistan". Air International , January 2006, Vol 70 No 1. pp. 56–58. ISSN 0306-5634.